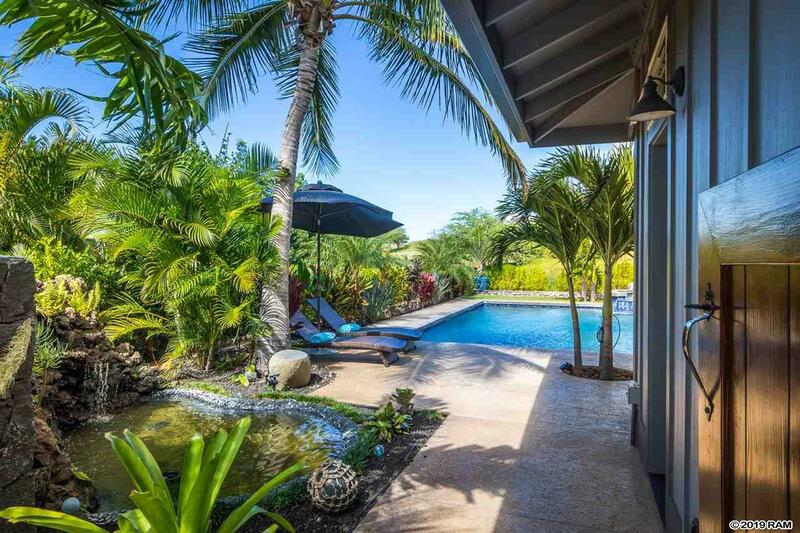 Built in 2015, this captivating Wailea Pualani Estates residence was thoughtfully planned and exquisitely executed throughout. Engaging floor plan that embraces a thematic tone of coastal elegance with 3,868 square feet interior living space - four bedrooms, and 4.5 baths. 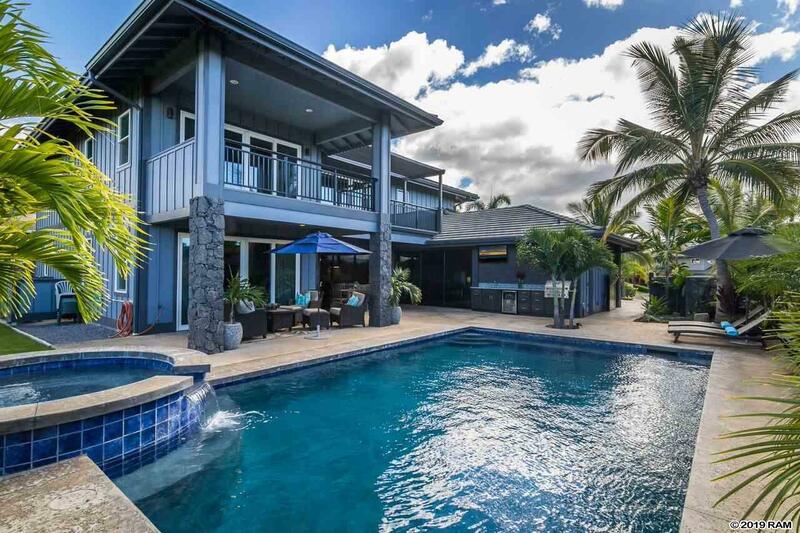 A salt-water pool is the centerpiece of an outdoor oasis, with slider door access to the lanai, pool, oversized Jacuzzi, barbecue area, and pool bathroom. 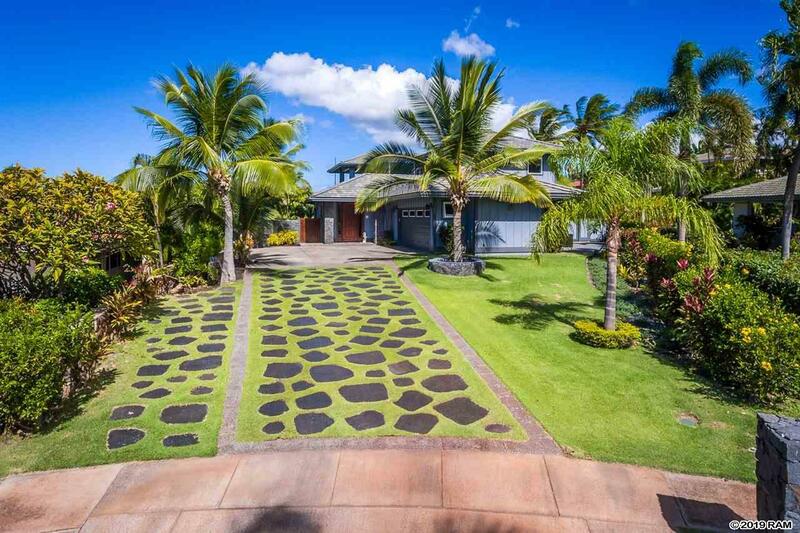 Nestled in idyllic, colorful tropical landscape protected by a prime, cul-de-sac location, a grass and lava stone driveway creates an inviting entrance and adds to a balance of privacy and curb appeal. Upstairs, one of two spacious Master Bedrooms is oriented to appreciate a sparkling ocean view the other Master Bedroom is downstairs. A focal point of this impeccably maintained home is its kitchen, created with entertaining in mind. A large gathering island (Quartz countertops were used throughout) is flanked by stainless appliances, including gas range. Two-car garage with extra storage, security system, and owned photovoltaic panels. Every detail has been seen to in this truly custom, one of a kind home, built by Buddy L and Sons. This home is not being sold furnished.